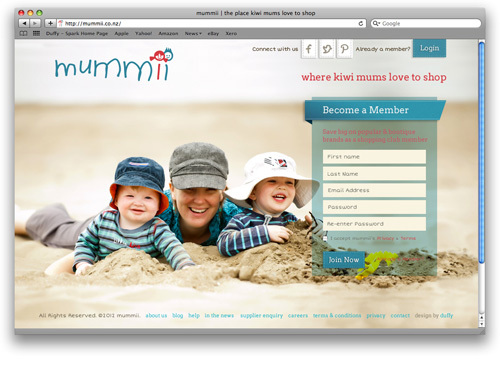 Design for Magento Commerce Membership Site Mummii.co.nz by Duffy. The long awaited launch of the Mummii happened last week! 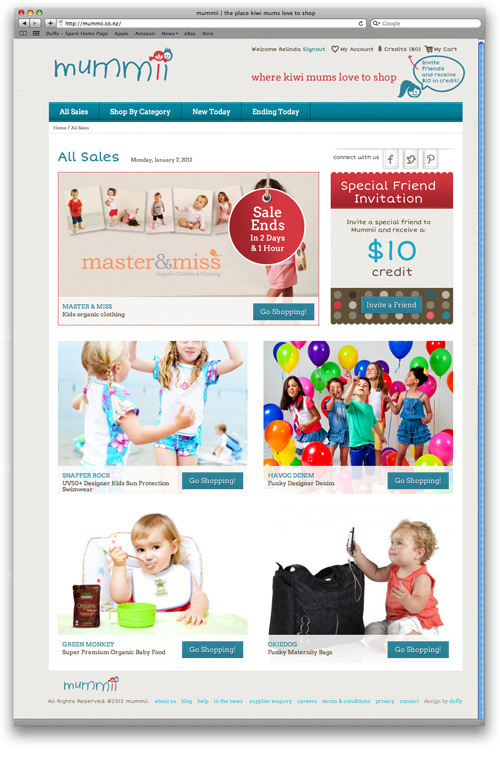 An exclusive membership online ECommerce store for Kiwi mums. Duffy created the branding and the Magento custom design for the website. Duffy designed each page of the site and all the custom icons throughout. The branding playing on the two ‘i’s of Mummii being a boy and girl.